It is that time of the year again. 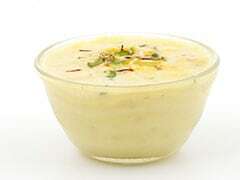 Warming kadha and soups are all set to give way for cooling sherbets topped with chilled ice cubes. I remember, how long back, one of my only household duties in summer would be to refill the ice trays so that we never run out of ice cubes. Come to think of it, it was indeed quite an important task at hand. It is tough to imagine summers without ice cubes. 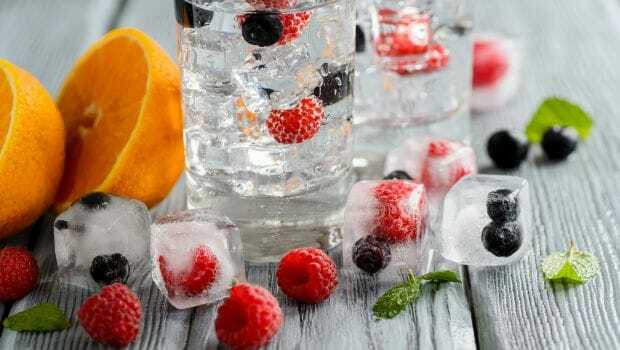 Be it the plain water ice cubes, or the fun ones made with fruits and herbs, ice cubes are one summer staple you would find across all households. But, did you know these little ice cubes are capable of much more than cooling your drinks. They could prove to be one of your best companions for summer skincare, too. They may help reduce pimples, sunburns, skin inflammation and boost blood circulation. Ice cubes with milk or cucumber can even exfoliate your skin. Surprised? 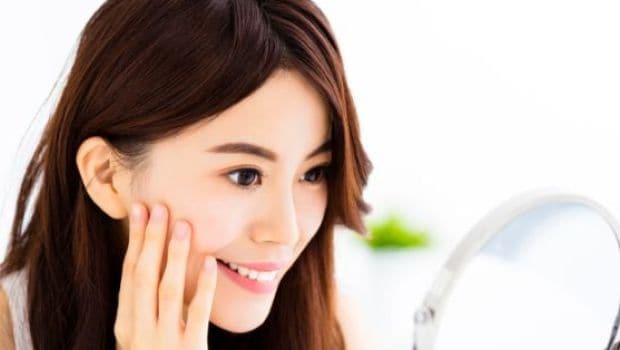 Here's how you can use this versatile and inexpensive skin care remedy for all your beauty needs. It may not be as fancy as the cosmetic packs that you use on your acne prone skin, but ice cubes could also prove to be rather effective, if given a chance. Acne is caused due to excess production of oil from the sebaceous glands leading to the blockage of hair follicles. Ice may not cure your skin of pimple completely but it can surely help to shrink or compress it in size. Ice helps cool down your inflamed skin that broke out into that nasty pimple. 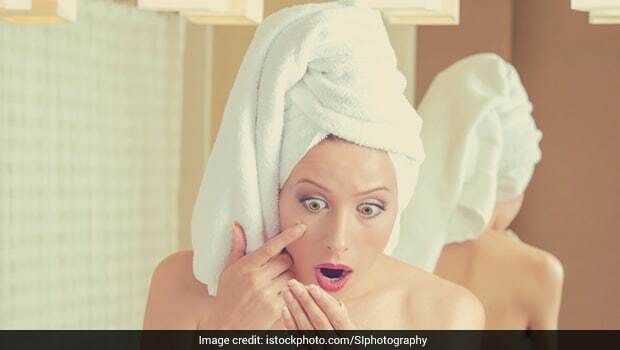 Make sure you consult your dermatologist before going ahead with the remedy. If your skin is sensitive the ice massage may aggravate the bacterial action. How to use: Wash your face and dry it with the help of a towel. Take a clean paper towel and put some ice cubes in it. Put the towel exactly on top of the acne for about a minute. Repeat the process after five minutes. If you have been using any essential oil add a drop of it on the towel filled with ice cubes and repeat. Make sure you take ample breaks. Come summers and the sun becomes one of your greatest enemies. Staying out in sun for long could lead to nasty sun burns and tan. Exposure to harmful UV rays could penetrate in your skin and may cause damage to skin cells, too. You can use aloe-vera juice or cucumber ice cubes to soothe the painful effect of sunburns. According to the book 'The Complete Book of Ayurvedic Home Remedies' by Vasant Lad, aloe vera is often dubbed as the "burn plant," indicating that its natural properties can cure a sun burn. 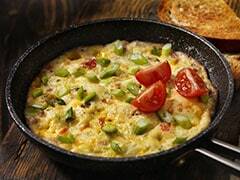 The leaves of the plant consist of anti-inflammatory properties that may help reduce swelling and further calm skin irritation caused by the burn. Ice cubes made of plain water are not a bad pick either. Its cooling properties help in absorbing the heat from the skin, subsequently, soothing the sun burnt area. Applying the cool compress regularly is known to be very effective. How to use: Make a cool compress using ice cubes. Wash your face and pat dry it with a towel. Place the towel with ice cubes on the affected area till the ice melts. Ice cubes are also a reasonable remedy to exfoliate your skin. Exfoliation removes dead skin cells from the surface of the epidermis. 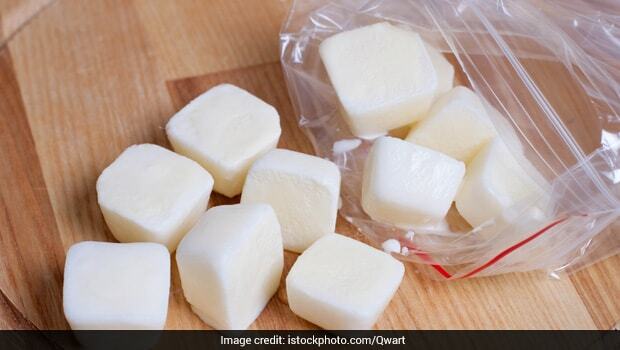 You can make milk ice cubes for best results. In an ice tray, instead if water pour milk and freeze it. To each block you can also add blueberries and cucumber. Your milk ice cubes are ready. Apply these cubes on gently on your face. The lactic acid in the milk, scrubs away dead cells and give you an exfoliated skin. The antioxidants present in blueberries and cucumber would help give you a face lift. How to use: Take a towel, add the milk cubes and give your skin a gentle press. Softly massage your skin with the ice cubes till the cubes melt. Wash your face with water after a good massage. Struggling with the woes of oily skin? Give cooling and refreshing ice cubes a chance. Application of ice cubes checks the oil secretion on the skin, giving you fresh and oil-free skin in a jiffy. How to use: After washing your face, rub your face with ice cubes wrapped in paper towel, or any towel, made in thin fabric. Once the oiliness is reduced, you may need to apply a little moisturiser. 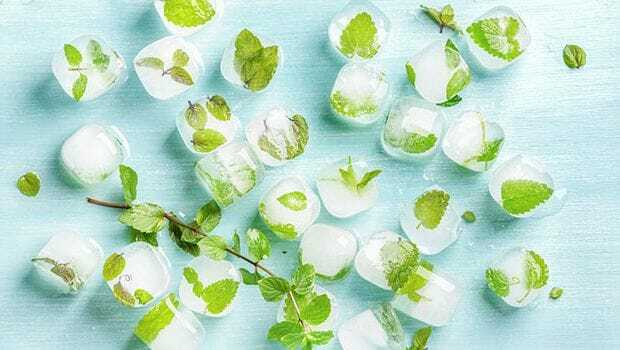 To make it even more refreshing try using mint ice cubes. In an ice tray pour water and, in each block, put a mint leaf. Your mint cubes are ready. Been working extra hours? Has the exhaustion begun to take a toll on your eyes, too? Puffy eyes are perhaps one of the biggest curses of today's fast-paced urban lifestyle. Ice cubes are perhaps the most inexpensive and convenient quick fix for the same. According to beauty experts, on an inflamed skin, any kind of cool pack is an effective remedy. You can put ice cubes of water, milk or antioxidant rich green tea, and apply them around your puffed eyes. However, beware you don't put it around your eyes for too long. Using chilled ice, right out of the fridge may not be the best idea for delicate skin, it may stick to the skin and cause pain. How to use: Wash your face and dry it with towel. Now, wrap the ice cubes in a paper towel and gently press the cubes on your eyes for short periods. Continue the process for about 10 minutes, then dry your face with towel. Get ready for a fresh look on your face. So, what are you waiting for? Pull out your ice trays, freeze some quick cubes and use it for your skin this summer.